Dee Nishimine, & Sophia Tseng would like to share the following patient testimonials with you from our very satisfied patients. 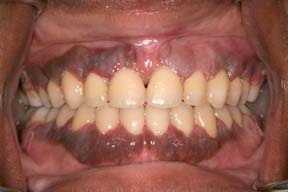 We beleive in "Beautiful Smiles Through Periodontics and Dental Implants"
"My teeth were hopeless and I wanted to have dental implants that will be permanent and look natural!!! "I am so happy that I did it!!" 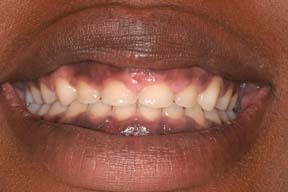 "I have lost the 2nd molar and my first molar is going to be lost as well." 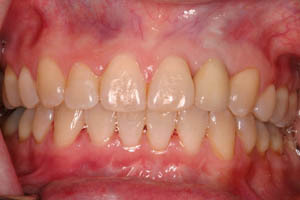 "My dental implants have been in for 5 years and feel like natural teeth and look great." "My 3 dental implants have been in over 5 years now and feel great. ."
Then I went to Dr. Nishimine and I got my SMILE back! 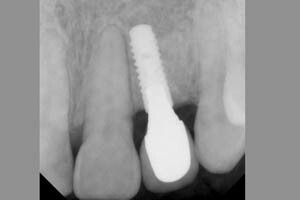 "My tooth was missing for some 20years and they said I DID NOT have the bone to have a dental implant>"
This x-ray shows the missing tooth and braces that will make room for the new implanted tooth. 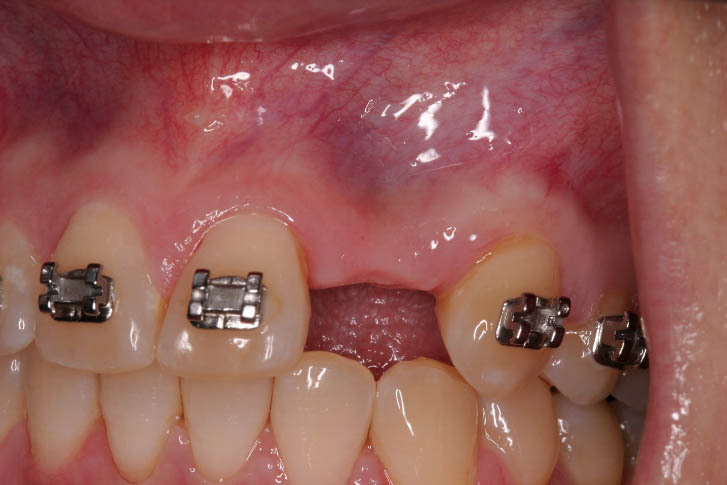 Patient with permenant implant tooth. A normal smile has been restored. 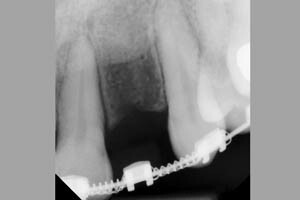 This x-ray shows the sturdy titanium implant and the attached natural looking crown and a fully functional tooth. "Dr. Nishimine and Tseng say they can never make a "perfect 10" but they came very close to a "9.9" for me. e.b. "My soft tissue grafting by Drs. Nishimine and Tseng was fabulous and very easy and I am very pleased." WL 2009. 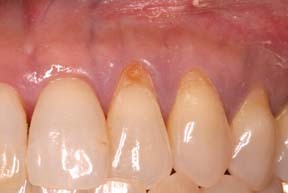 "My tooth is very sensitive and looks long and they told me it has decay." "My graft is still stable 2 years down the road and it is not sensitive to cold or hot." "My soft tissue graft has been successful for 5 years now and it looks and feels great." 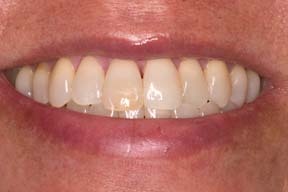 "First and foremost, my dental implant procedures, including extensive bone grafting, was expertly done. 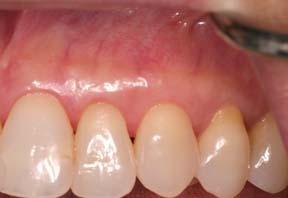 Almost as important was the fact that the multiple procedures were done without the PAIN and STRESS I associate with dental work. There was absolutely no pain!! My stress was minimized because every procedure was explained, and re-explained as requested, using pictures, models, and plain language. I am again a broad-smiling, steak-chewing woman and an extremely satisfied customer." SM 8/2009. "My teeth are too short and I want a pretty smile." 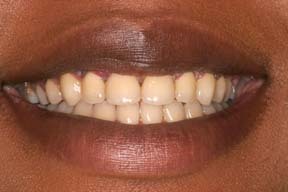 "I have normal looking teeth and my smile is much prettier." 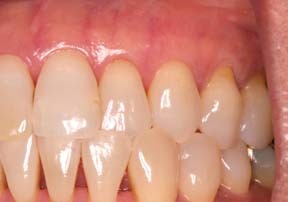 "My tooth was very sensitive prior to grafting." "The exposed root has been covered for 6 years and it is NOT sensitive."